With the arrival of Christmas, the Christian expatriates in Dubai start thinking about where and with whom they will be eating their roast turkey while celebrating the birth of Jesus Christ. Although Dubai is a Muslim state with its own local festivals, but the Dubaians are multi-faith tolerant nation and therefore celebrate Christmas along with Eids and many other Holy Islamic occasions. The Christian community living in Dubai’s provided with all opportunities to celebrate Christmas with great grandeur and exhibit. Various known malls of Dubai organize special events with the start of December, displaying decorated Christmas trees along with Santa and stuffing the supermarkets’ shelves with various colorful treats. Being a Christian expatriate, you can do various things in Dubai in order to make it one of the memorable Christmases of your life. From Christmas food to shopping, the beautiful Dubai provides you with the best opportunities to make you feel at home. Dubai is known as shopping paradise - take advantage of it and plan a Christmas shopping with your loved ones. 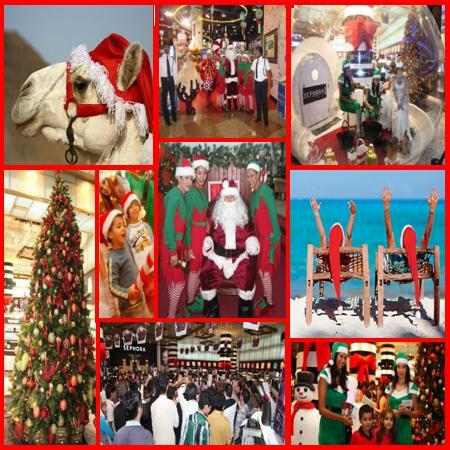 The Malls of Dubai display finest Christmas collection from all around the globe. 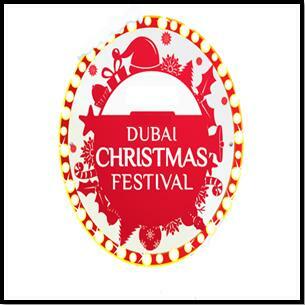 Try to avail various discounts offered by the Dubai’s malls for Christmas shopping. The famous and well-equipped Wafi Mall is definitely not to missed at any cost during Christmas season. The celebrations in this mall include Christmas songs, irresistible discounts, and photography with Santa Clause. The Christmas celebration are incomplete in case a well-decorated Christmas Tree is missing out the event. Dubai imports authentic and embellished Christmas trees from all around the world. These trees are imported in the specially designed containers so that they can survive the heat of Dubai. You can get every food item you need in Dubai to cook delicious Christmas dishes, including Nigella and Jamie festive dinner. You will love the nicely decorated storage racks of the eateries. Moreover, the majority of supermarkets in Dubai will have unique sections for Christmas eateries, including mince pies, Christmas cakes, sugared almonds, pudding and other desserts etc. You will find frozen turkeys and butterball turkey in the main supermarkets of Dubai. You can also have words with the malls' butchers to provide you with fresh turkeys. If you do not like turkey, then you can try duck or chicken’s meat. Whole range of fresh and frozen vegetables is available in the supermarkets. In short, you do not have any excuse to get out of the Christmas cooking! There are many famous churches in Dubai, with their doors opened for the Christians expatriates to attend the mass prayer and to perform other religious activities. St. Francis of Assisi Church, Jebel Ali, is one of them. This beautiful church not only schedules mass prayers but organizes lunch for the poor Christians of Dubai as well. You can also attend the signing organized by the several parishes-carols in Dubai. 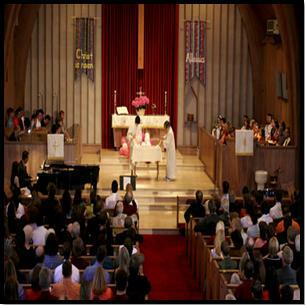 Attend the morning or the afternoon mass. Dubai is a land of luxurious and attractive hotels and parties. Many hotels of the state make arrangements to offer memorable holiday memories to their Christian customers. They decorate their hotels and restaurants with colorful lights, Santa Clause and Christmas Trees etc. In addition to that, they arrange lovely parties for their guests and special delightful delicacies are served. 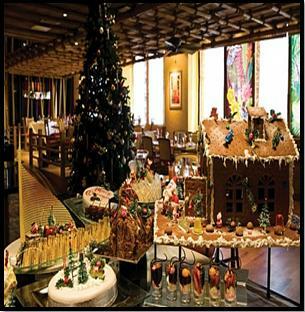 Check out some more amazing Christmas Party Venues in Dubai. Last but not the least; get your pass to attend a three-day festival known as the Dubai Christmas Festival that is organized in Dubai Media City. 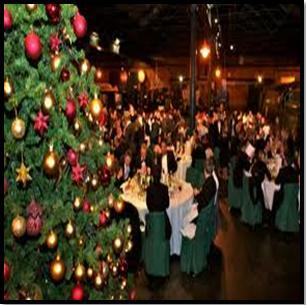 This wonderful event offers a one-stop shop for everything you love about Christmas. It is basically a wonderful platform, providing thousands of national and international exhibitors with an opportunity to display their diverse range of inventive products. It is your chance to find variety of international brand under one roof in Dubai and to purchase them at very reasonable prices. Besides products, the Crate & Barrel Festive Workshop, participation of local celebrities, Cookery Theatre, local bands’ live performance, lighting ceremony for the Christmas Tree, schools’ performances and Festive food etc are the major specialties of Dubai Christmas Festival.